A Casino Night fundraiser is a popular and profitable way for charitable organizations to raise money. Every successful casino fundraiser has one thing in common – a good turnout. If people show up, they will spend money and reaching your profit goals will follow. Non-profit organizations especially enjoy a casino model for fundraising because their benefactors are easily entertained while donating money. 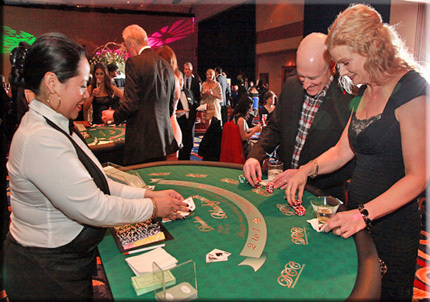 A Boston Casino Event Casino Night fundraiser has the look and feel of a real Las Vegas casino! The only difference is that the dealers do not accept real currency at the gaming tables. Boston Casino Event FUN money is used at all the gaming tables in exchange for casino-style chips. Betting limits and chip values are displayed at gaming tables and are determined by your committee. As your guests arrive and check-in, they will receive a pre-determined amount of casino scrip (play money), supplied by Boston Casino Event. The amount of casino scrip the player is given at the door will directly influence how much money they will spend the rest of the evening. Additional money is raised for your organization through the purchases of our “Boston Casino Event FUN PAKS” by your players/guests. Boston Casino Event Fun Paks are booklets that include casino scrip, casino prize raffle coupons, and gaming coupons. The Boston Casino Event Fun Paks are included in the cost of your casino package and your organization will keep all the proceeds from sales of these booklets. Unlike Las Vegas however, no real money is won as a result of gaming. Players become eligible to win prizes when gaming closes by exchanging their casino winnings/chips for raffle tickets. Prizes would need to be donated for several drawings at the end of the evening. A players’ chance to win a prize is limited to the number of raffle tickets they earned by playing the casino games. 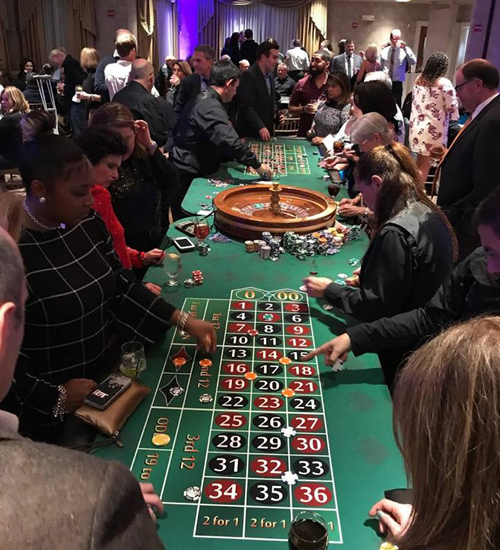 Boston Casino Event dealers, Casino Managers, and the Casino Hostess will exchange winnings at the rate of (1) raffle ticket for every $100.00 in casino chips or $100.00 in unused Boston Casino Event FUN money. Your committee has the option to change this model to better suit the needs of the organization. So what are you waiting for? We’ve helped some of the biggest charitable organizations reach and exceed fundraising goals. Put your fundraiser plan into action and give us a call at 978-376-4111.